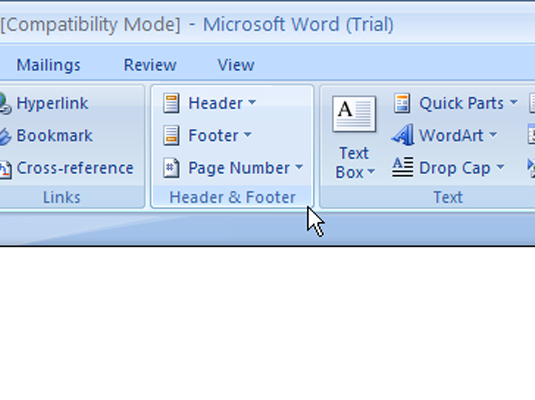 Click the Insert tab on the Word 2007 Ribbon. 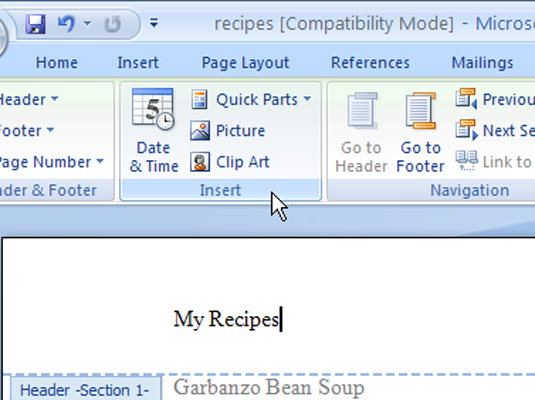 In the Header & Footer group, choose Header→Edit Header. When you edit the header, Word tosses you into a special mode. 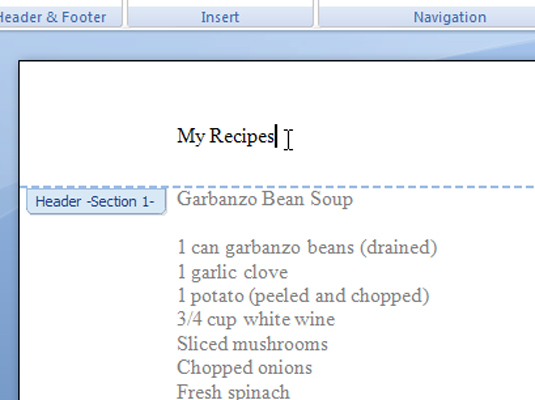 The header appears on the screen as part of the page in Print Layout view. A new tab appears with groups customized for creating and editing headers. 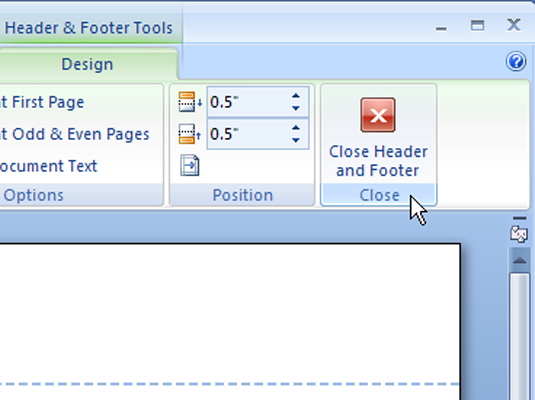 Use the Go to Header and Go to Footer command buttons to switch between the header and footer for editing. 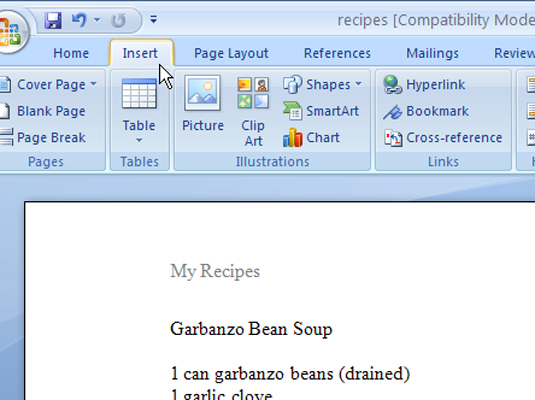 The Go to Header and Go to Footer buttons are located in the Navigation group. Items in the header are edited just like anything else — you can add, edit, or format text by using any of Word’s text- and paragraph-formatting options. Use the command buttons on the Design tab’s Insert group for special items. Choose from Page Number, Date & Time, Picture, Clip Art, and Quick Parts. You return to your document.